Jim Craig has been called the backbone of a team that accomplished one of the most extraordinary and memorable sports victories of all time. He then went on to achieve tremendous success as a marketing and sales manager and strategist. Today, in addition to serving as president of a promotions and marketing firm based in the Boston area, Jim Craig travels the country speaking in front of corporate audiences and non-profit groups. Over the past decades, Jim has motivated, inspired, and instructed employees and associates from hundreds of organizations, including Coca-Cola, Coors, Walt Disney, Fidelity, Dunkin’ Donuts, John Hancock, KPMG, NBC, Ocean Spray, Evergreen Financial, Sun Life Financial, and other companies that hold some of the world’s most recognized brands. 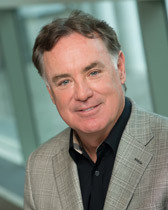 An All-American goalie at Boston University and standout for the Terriers’ 1978 NCAA championship squad, Jim Craig was selected as the starting goaltender for the U.S. 1980 Olympic hockey team. At the Lake Placid games his performance was phenomenal. Indispensable to Team U.S.A.’s epic – what some have called miraculous – upset of the Soviet Union was the play of Jim Craig. In the game against the Soviets, the Americans were outshot 39-16, but Jim made 36 saves, many of the spectacular variety, and his teammates scored four times. Two days later, against Finland, he was again superb and the Yanks won, 4-2, to take Olympic gold. How miraculous, how historic, was the victory? Consider that as the 20th century came to a close, most major media sports polls selected what happened two decades prior on an ice rink in upstate New York as the greatest sports achievement of the previous 100 years. Great Teams Hold Themselves and Others Accountable – this is one of the nine "Gold Medal Strategies" that Jim teaches. Accountability, as Jim explains and breaks down, is an exercise in looking inward and demanding accountability of yourself - and then working together as a team to make sure that every person on the team is accountable ... and, as a team, helping people to be accountable and to better perform their job. Had the members of the 1980 U.S. Olympic hockey team - under the guidance and direction of Herb Brooks - not thrown off the old ways and play of U.S. international hockey ... had they not embraced a revolutionary form of the game ... they would not have beat the team that couldn't be beat, and won the game that couldn't be won. There would not have been any gold medal, any stop atop the podium. Jim talks about how he and his teammates executed that transformation and change - and how the example of that transformation and change can aid your organization to perform more effectively. One of the nine "Gold Medal Strategies" that Jim teaches ... that he writes and speaks about ... is that Great Teams Manage Through Ego and Conflict. Jim tells the story of early on in their journey to Lake Placid and history, the players on the 1980 U.S. Olympic team were not working cooperatively; the team was beset by regional and personal rivalries. But the players got beyond the conflict - and they forged a team, and executed teamwork, for the ages. How do you find and identify the people who have the "stuff" and potential who will work for your system, culture, and mission? What is meant by the importance of not necessarily finding the "best" players but the "right" ones. Jim discusses and breaks down the elements of successful and winning recruiting. Risk takers make history. If there is no risk, there is no great achievement. Jim talks about the risk taking enterprise that was the 1980 U.S. Olympic hockey team. He shares more examples of risk taking ... in sports, business, and other areas of human endeavor ... that enabled greatness and the epic. How do you inspire and impart confidence? How do leaders and teams accomplish this critical task? How do you pull greatness out of people? How do you challenge and inspire people to get outside their comfort zone - and to reach for what they at one time not thought reachable, and not attainable? Jim shares with you the tactics and strategies of confidence building. As Jim often tells audiences, "If you don't know where you are going, any road will get you there." Jim shares the elements and fundamental components of goal setting, defining missions - and then going confidently ... and smartly ... in the direction of your dreams. Jim has studied ...and continues to study and research ... what inspires the pursuit of excellence in those who achieve greatness. He describes what is it that separates those content with good enough, and with all right, and with the okay ... and those who have an unquenchable thirst and drive to make history and establish the highest standards. Jim talks about the "stuff" and marrow of winners. Jim drills down and talks about the following: What winners share in the way of character. How they prepare. Their priorities. How they handle victory. How they handle defeat. Jim discusses what truly drives winners - the greatest winners. Very few things great are done alone. Epic achievement is almost always the result of successful and enduring collaboration. Jim explains and details the elements of winning teamwork. He provides specific examples from the experience of the U.S. "Miracle on Ice" hockey team, and how it confounded the experts, made history ... and made it to the top of the podium.